Endura T18 is comes with a 1000mAh Endura battery and 2.5ml Prism tank. Optimized at 14W with 1.5ohm replaceable coils, Endura T18 brings a perfect vaping experience every time. 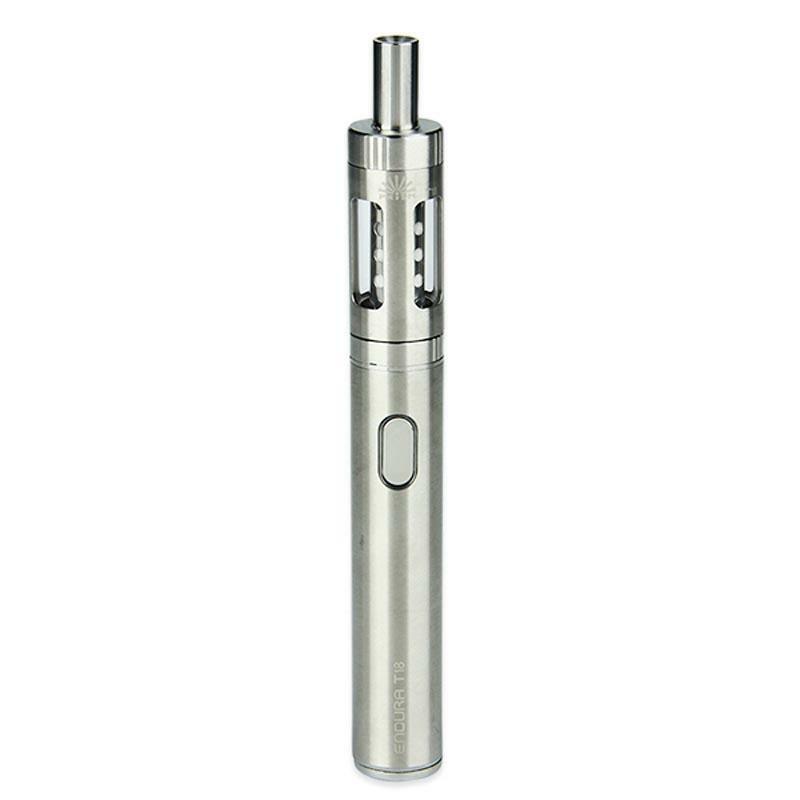 Innokin Endura T18 vape kit is a perfect vaping device with 1000mAh built-in battery and 2.5ml Prism T18 Tank. Long lasting, easy to charge 1000mAh battery with built in overheat & safety protections. Easy to top-fill 2.5ml tank made with top quality stainless steel & pyrex glass! Simply fill with your favorite e-liquid, click the button and get ready for a Great Vape! This starter kit can be a good choice for those who wants to quit smoking as me. Easy to use and well built quality. Endura T18 starter kit is very convenient to take it with you on the go. 2.5ml tank capacity is perfect. I can easily swap juices. Got 2 this endura t18 kit in pink and blue. One for my sister and one for myself. We both love it!